It was an easy decision for supper. You see, already I had some chicken parts (dark/couple pieces of wings) marinated in a ziplock bag. These chicken portions were bone-in and skinless. Whenever I’ve downtime, I try to take advantage of same by prepping my poultry and/or meats in advance. So, it was relatively smooth to get supper going after returning to my abode. I allowed my marinated curried chicken to come to room temperature. 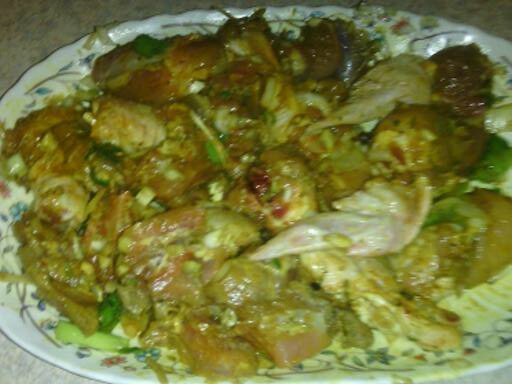 Chicken was marinated with salt, black pepper, crushed garlic, pimento(all spice, soy sauce,finely chopped onions and scotch bonnet pepper and of course, curry powder. In a hot skillet, a drizzle of coconut oil was added; then, chicken was placed in skillet.After a quick sauteing of same, water was added to cover chicken. Additional seasonings and spices were added including bell peppers, thyme and a dash of cumin. Chicken was cooked under low to medium heat with lid on until fork tender. Moreover, the gravy/curry sauce was simmered to the right consistency that I liked. 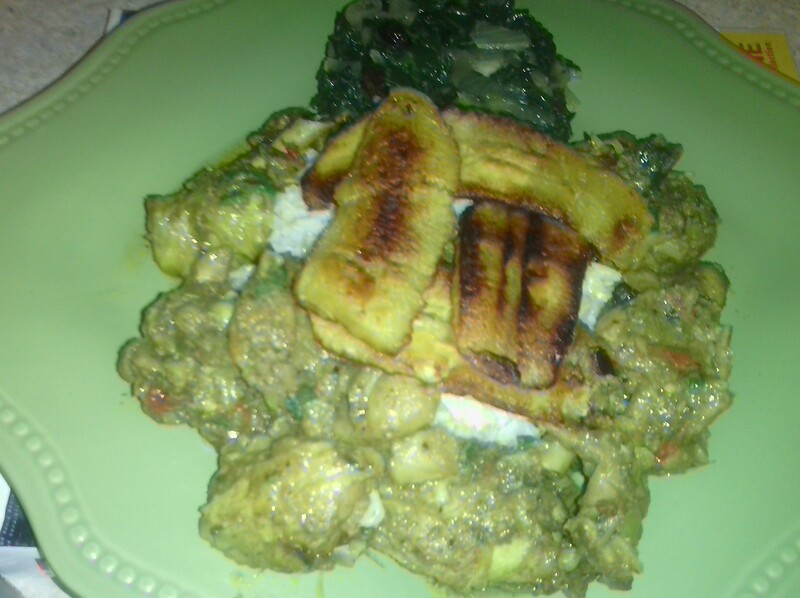 I served my curried chicken with steamed whole wheat rice along with sauteed kale and fried plantain.